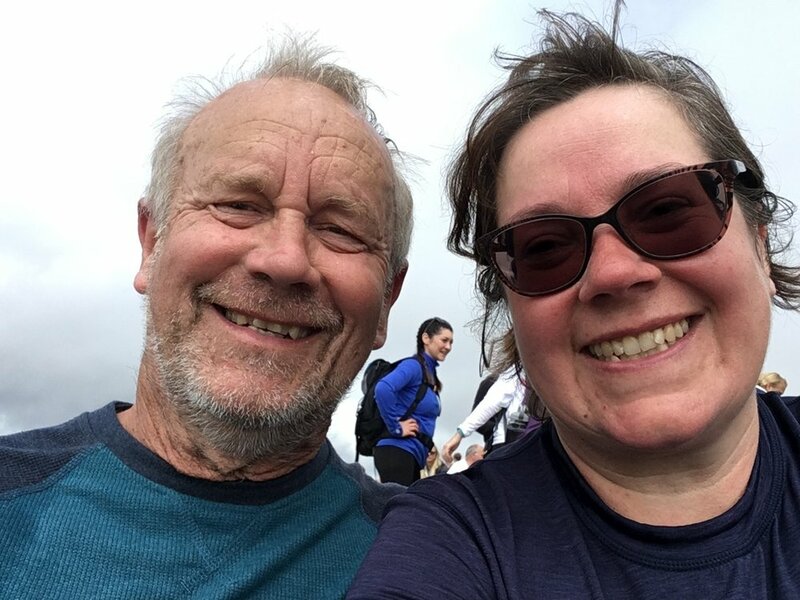 1000-miler Melanie Long spiced up her mile-munching with an unexpected first-time ascent of Britain’s highest peak – and she took her 70-year-old dad along for company. Thanks for the inspiration Melanie! 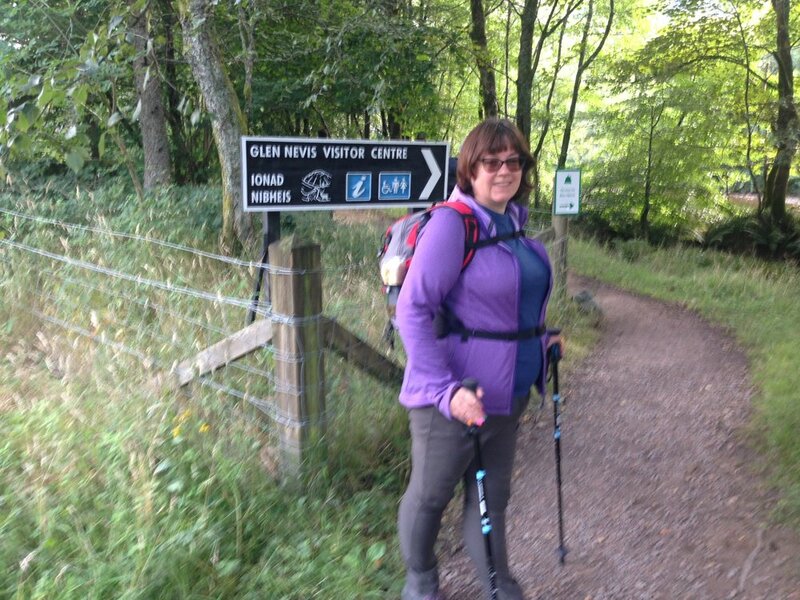 I love to challenge myself, which is what drew me to #walk1000miles. The group has been GTEAT at motivating me and seeing everyone’s posts about their walks keep me on track. It’s great to have a group of like minded people to give advice and support you. Even though I have never met anyone in the group I feel they are my friends. Out of the blue I had an email from a local company who’s mailing list I was on saying that they had two spaces on a trip to Scotland to climb Ben Nevis. I called my Dad right away to ask him if he’d be interested in coming with me. Luckily he’s as mad as me and we decided to go for it! So soon we would be on our way to climb Britain’s highest mountain for the first time. In fact that was the scary thing – we were leaving in five days time. Not much time for training, but hey, how hard could it be? OMG I was so wrong. The going up was tough. I had to have plenty of rest stops (to look at the views obviously…) and made sure I drank plenty of water and had a few nuts and jelly babies at each stop. But the top seemed to get further away at every stop. Every time I looked up the summit it seemed further from my reach. I questioned my decision to climb this beast of a hill at every moment. But dad and I kept each other going – we were both determined to get to the summit. I even managed to run to last part of the ascent. We had done it. We were at the top. I couldn’t keep my emotions in and the tears rolled down my cheeks. I was so proud of us. We were some of the highest people in the whole of the UK. 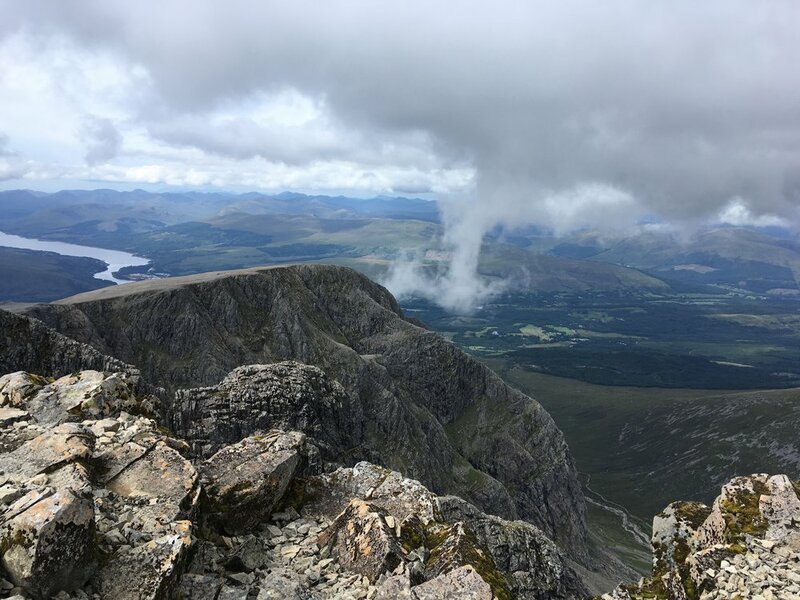 But then came the realisation that we now had to get back down – and if I thought the ascent was tough then the descent was one of the hardest things I have ever done. My whole body ached, my knees were in agony, but the thing I found the hardest was the mental challenge. I admit I cried, I struggled but I carried on. I took my time and slowly (very slowly) but I made progress and eventually the end was in sight. I was starting to believe I could do this. The moment I got down the mountain I immediately forgot the pain, the exhaustion; I forgot everything about the climb. I felt amazing. I’d achieved something I never thought I would be able to do. Would I recommend it? Yes definitely, but go prepared. I took five layers of clothing as it gets really cold at the summit. A hat and gloves are so needed at the top. Take plenty and I mean plenty of water as you need it. Also take many snacks, like nuts, cereal bars and sweets. And take a friend or even better your dad (if you can!) to share the experience. My dad’s my friend and my inspiration, and if I’m half as fit and cool as him at seventy (or ever) I will be very happy. Also when you get back home, there’s one thing you must do. Bore all your family and friends senseless about your epic climb, because you’ve earned the right to do this. I will never forget this adventure and will probably never stop talking about it!